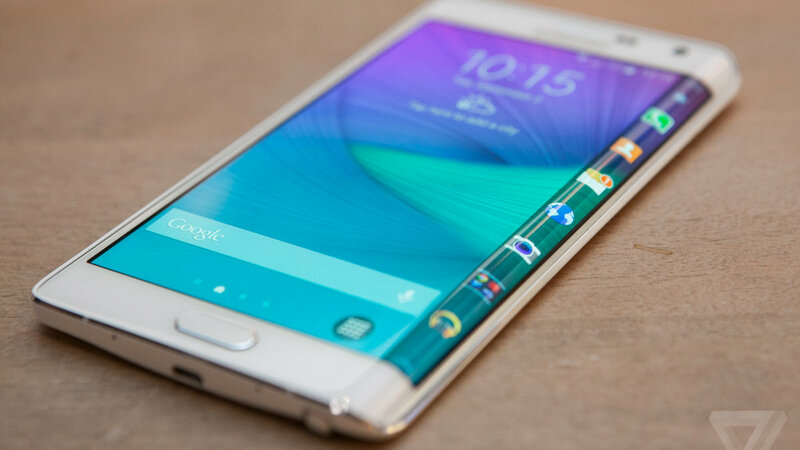 The Samsung Galaxy Note Edge flaunts a wide 5.6-inch Super AMOLED display which features a mind boggling resolution of 2,560 x (1,440 + 160) pixels and a stunning pixel density of 525 ppi. It poses multi touch display along with Corning Gorilla Glass v3.0 protection on the top. Although the fancy display is bound to leave viewers stunned, the chief attraction of the phone is the curved display on the side. The curved part works separately and can be used for quick access to frequently used apps, alerts etc. For example, you can keep a check on important notifications on the curved screen while using the wide screen on the top for enjoying your favourite game or movie. With dimensions of 151.3 x 82.4 x 8.3 mm, the Samsung Galaxy Note Edge definitely looks huge but will definitely make you stand out in a crowd. It also comes with S Pen Stylus and finger scanner for added usability. This wide Note is powered by a 2.7GHz quad-core Krait 450 processor, aided by 3GB RAM. Rich graphics is managed by the Adreno 420 GPU. It runs on the latest Android v4.4.4 KitKat OS along with sensors like barometer, heart rate, proximity, gyro, accelerometer and UV. The Samsung Galaxy Note Edge sports a 16MP auto focus rear camera which can shoot 2,160p videos at 30fps and 1080p videos at 60fps. It supports LED flash, optical image stabilization, HDR, panorama, dual shot, smile and face detection, image and video recording simultaneously, dual shot and touch focus. The 3.7MP front shooter claims to shoot 1080p videos at 30fps as well. It boasts of 32GB internal memory expandable up to 128GB. 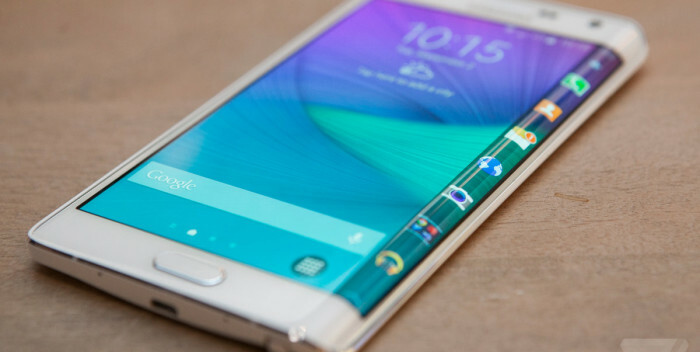 The Samsung Galaxy Note Edge is fuelled by a mighty 3,000mAh Li-ion battery and can be connected via 3G, 4G (only in selected countries), Wi-Fi, Bluetooth v4.0, GPS, GLONASS, USB port, NFC, infrared port, DLNA, Wi-Fi hotspot and Wi-Fi Direct.